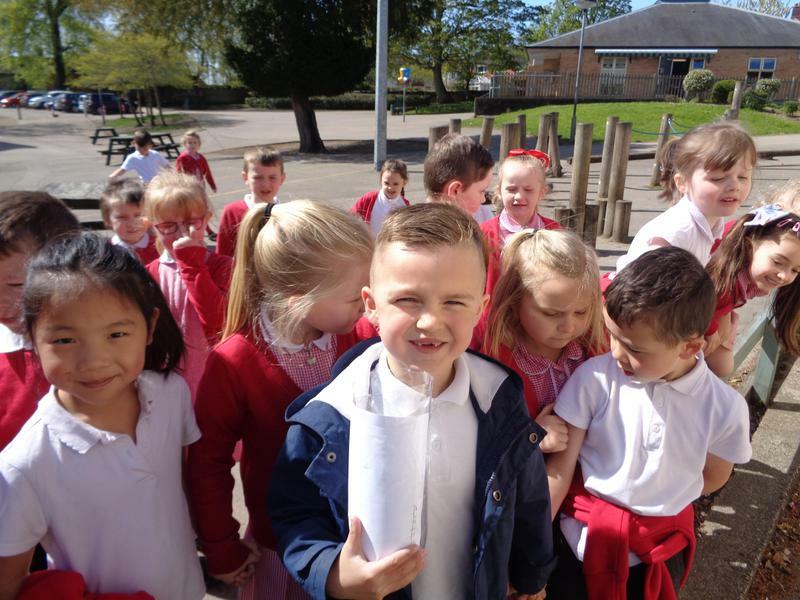 This term we are off on an adventure around the world and back in time! We are looking at famous explorers from history and where they traveled. We will also be covering geography, looking at continents, oceans, compass points and features such as the poles/equator. We will be linking this to science when we talk about weather and seasons across the globe. In the past two weeks we have looked in detail at Sir Francis Drake as he was the first Englishman to circumnavigate the globe. We started in his home country of the UK and traveled to Morocco, North Africa. We investigated and talked in depth about the differences to where we live and how he and his crew would have felt. We know that it is hotter in North Africa than here because it is closer to the equator. The children also thought it would have been difficult to make themselves understood because they spoke Spanish in Morocco in 1577 and they don't know how to speak Spanish. Children used signs/gestures to practise communicating without language - this was lots of fun! The class said they think Drake would have been excited and worried when arriving at the ports on his journey because he wanted to attack the Spanish but would not want to lose. We then traveled to South America - another stop on Drake's journey. Here the people spoke Spanish too. We found out that this was because Christopher Columbus had discovered South America for the Spanish in 1492. We then did some research on Christopher Columbus and made some notes in small groups. We also wrote questions we would like to know the answers to! We are looking forward to finding out more about Christopher Columbus! On our journey around the world we have been learning about different homes in different countries/continents. In South America, some people live in homes in the trees. We learnt about a family who climb a ladder all the way to the top of the tree where their wooden house is. 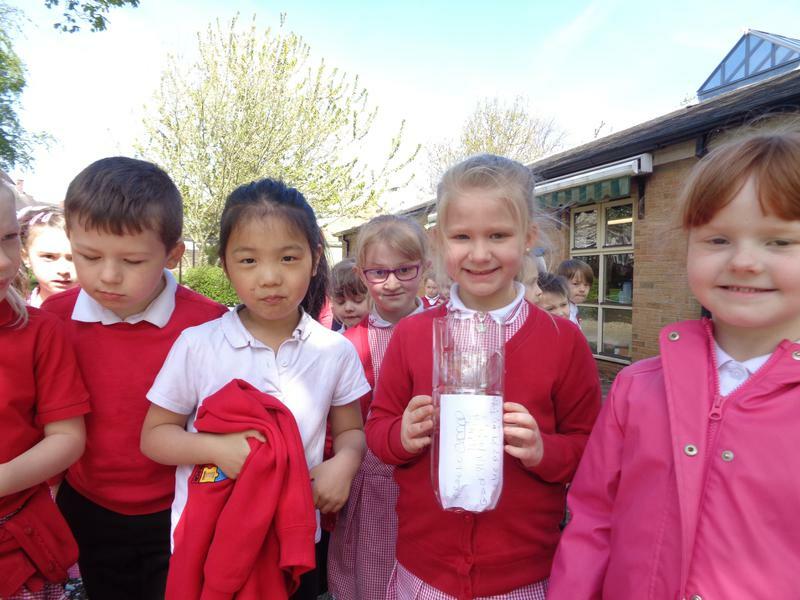 We thought it would be dangerous and difficult to carry large or heavy things up to the house so we designed a crane which could be used to transport items. We made a model of our designs. First we got our equipment ready and measured the dowel. We were careful not to cut ourselves! We cut doors into our bottles and made baskets from card. We attached string to the basket and wound the string around the doweling rod. When you wind the dowel the basket moves upwards. Our cranes really work! We have found out a lot about Christopher Columbus. We wrote questions and then did research to find the answers. We have been learning how to write notes. We discovered that the weather in India is hot but very rainy. It is one of the wettest places on Earth! We wanted to know how much rain falls here for a week and we will compare it to rainfall in other places around the world. We will need to carefully observe what happens. We made our own rain gauges using pop bottles. We followed written instructions and used rulers to make the scale accurate. We thought about where we should place our rain gauges. We decided to put them in places where there is no shelter or trees. 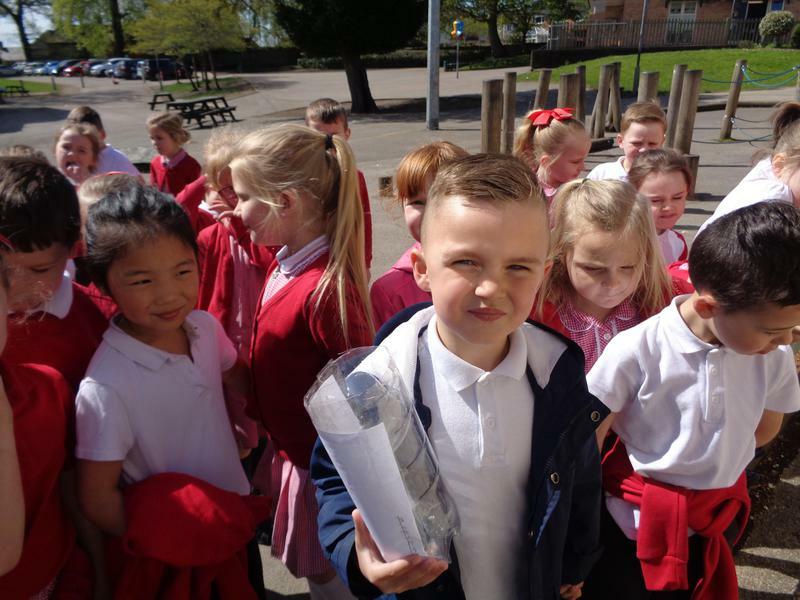 We marked the locations on our map and then used the compass points to navigate around the school and position our rain gauges. We used the words 'North, South, East and West' to say which direction we should travel in. 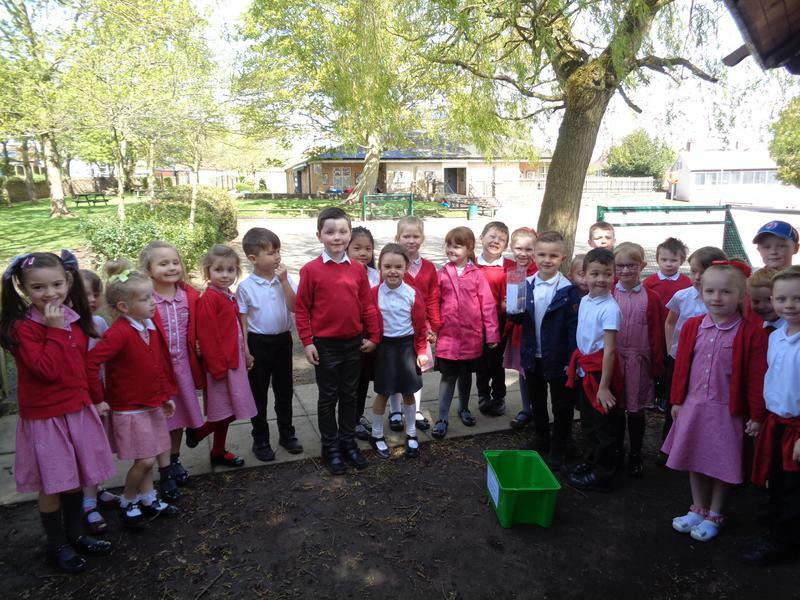 We have been checking our rain gauges every day to check how much rain has fallen. So far our gauges read 0cm because the weather is dry and sunny. When we have been researching and learning about famous explorers we began to think about their lives and how they lived. We discovered that their lives were very different from ours - particularly their health and hygiene! This started us thinking about what we would tell the people from those times about how to keep themselves fit and healthy. We made posters to show some of the things we would like to tell Marco Polo. In his time some people in England used urine to clean their clothes and remove stains. We thought they might need some better advice!